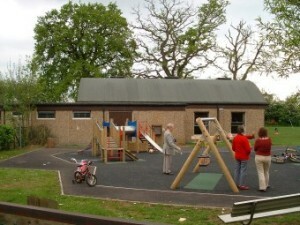 Next to the Village Hall in Gooseacre is the children’s play area. This was refurbished in 2004 and has colourful equipment suitable for children up to 12 years of age. The area is fenced off from its surroundings, but can be reached through gates from the playing field or the village hall car park.